Luo Chang Qing’s Qi fluctuated, unleashing his fearsome power sphere. He didn’t expect that Jiang Chen would be this powerful from the very beginning. A Sixth Grade Minor Saint was instantly subdued by him. The scene had given him a huge blow for not putting Jiang Chen in his eyes. Now, he realised that he had to fight in person just to kill him. Luo Chang Qing raged. He had never seen such a frenzied man that is also extremely audacious. It was still fine if he came here just to cause troubles but he had killed a respected elder of the Heavenly Sect. The scene was truly unbearable. Jiang Chen’s murderous aura burst out across the sky as he casted the Five Elemental Spheres, he then lunged at Luo Chang Qing. Luo Chang Qing’s murderous intent was even stronger than Jiang Chen. He also immediately casted his power sphere and lunged towards Jiang Chen. He had already forgotten when was the last time he fought. As a head of the Heavenly Sect and a high and mighty Seventh Grade Minor Saint, he wasn’t required to use his powers because if he did, people would simply die. The two power spheres collided together before bouncing each other off. Jiang Chen was sent flying away roughly three hundred meters before coming to a halt. But then, Luo Chang Qing’s face turned ugly. He stared at Jiang Chen with horror. 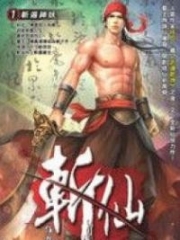 Luo Chang Qing felt that he had encountered a monster. This was unimaginable. He felt that his knowledge in cultivation all these years had been overturned by that exceptional power sphere. Luo Chang Qing gritted his teeth. His eyes turned even more ferocious. Jiang Chen said to himself. Just now, he deliberately attempted to test his ability but it didn’t turn out as he had expected. Although he could fight a Seventh Grade Minor Saint, it would be impossible for him to kill his opponent. As such, he needed to transform. Jiang Chen roared facing the sky. The clouds far above all crumbled. An ancient chaotic power suddenly erupted from his body. His appearance changed entirely. His body had grown a fold bigger. Blood-red scales covered his skin, which made him look extremely ferocious and scary. Yan Chenyu who was standing behind was in shock, leaving her mouth wide-open. This was the first time she saw Jiang Chen’s human-dragon form transformation. Naturally, she would be astounded. Yan Chenyu nodded but Jiang Chen’s current look still terrified her. All the elders’ facial expression changed tremendously. Jiang Chen had made them dumbfounded. It was hard for them to believe that there was actually such a powerful technique in this world; if they didn’t witness it, they wouldn’t believe it. Luo Chang Qing’s facial expression became uglier. He could feel Jiang Chen’s combat strength multiply and was even greater than before. Even he, a Seventh Grade Minor Saint could feel the pressure coming from Jiang Chen. Luo Chang Qing said. Killing a monk in Western Domain was akin to seeking death. The consequences of killing a genius of the Great Lightning Tune Temple were beyond their capabilities to bear. All the Minor Saint elders nodded. They weren’t fools. Their opponent was many times stronger than they had imagined, otherwise, their master and the Grand Elder wouldn’t need to fight him together. Grand Elder made a step forward, causing a large crack in the spatial zone. Black wild gales were gushing out of the cavity. At the same time, the remaining over thirty Minor Saint experts launched their attacks on Yan Chenyu and Big Yellow. Big Yellow laughed wildly. A pair of golden wings emerged from his back, and he disappeared all of a sudden. He had broken through the defensive barrier of the Minor Saints and stopped above the Heavenly Sect. He opened his big mouth and roared downwards against the buildings and disciples below. It was another Soul Crunching Tune. Wails were heard from below, along with the collapse of the buildings, turning them into ruins. Someone cursed. A Sixth Grade Minor Saint immediately lunged at him. Big Yellow was a Third Grade Minor Demon Saint. He could fight a Fifth Grade Minor Saint, but not a Sixth Grade Minor Saint. However, his speed was absurdly fast. It was absolutely not easy for a Sixth Grade Minor Saint to kill him. Big Yellow laughed uncontrollably as he continued to move quickly above the Heavenly Sect. The Sixth Grade Minor Saint couldn’t catch him at all. This dog appeared at another side in just a blink. He was wrecking Heavenly Sect deliberately. His simple attack was a crowning calamity to the ordinary elders and disciples. Seven to eight Minor Saint experts had split to circle Big Yellow. The group included two Sixth Grade Minor Saints. Despite this strategy, Big Yellow could still circle around the area swiftly, angering them all. On the other side, three Minor Saint had surrounded Tyrant. Two were Second Grade Minor Saints and one was a Third Grade Minor Saint. They didn’t put this First Grade Minor Saint monk in their eyes. Their orders were to besiege him, not to kill. The remaining Minor Saint had surrounded Yan Chenyu to attack her but her face didn’t look any different. She wasn’t the same as before. Her strength could even pressure a Sixth Grade Minor Saint. Plus, she had special abilities, like the Nine Yin Meridians and the heart of the ice G.o.d, making her skills even more deadly. A Second Grade Minor Saint said to Tyrant. Tyrant replied with a word which monks always used. Then, he struck with a palm attack at the closest Second Grade Minor Saint – Karmapa Seal. An image of the large Karmapa became visible. It moved at maximum speed and like a huge mountain, smashed the Second Grade Minor Saint instantly. He let out an agonizing wail. He was struck dead by Tyrant’s palm. The other two Minor Saint’s face changed instantly. They didn’t think that this monk, who looked ordinary was such a monster. He could already kill a Second Grade Minor Saint even if he is still a First Grade Minor Saint. This monk was too cruel. They did not intend to kill him, but the monk left them no choice. Tyrant’s face remained unchanged, like a high ranked senior monk. This time he had returned to claim the inheritance of Ancestor Greenlotus. He had acquired three of the lost supreme seal, namely Acala Seal, Karmapa Seal and Lion King Seal. Each of the seal was terrifyingly powerful. It contained the essence of the Buddha Sect. Although he was only a First Grade Minor Saint, the power of the seal could directly kill a Second Grade Minor Saint. The Third Grade Minor Saint was infuriated. He launched his palm and lunged at Tyrant, intending to get a grip of him. On the other side, Yan Chenyu was showing off her incredible power. Although there was a Sixth Grade Minor Saint, she didn’t fear them. Her icy aura rushed out, freezing the entire void. Her power sphere was the legendary Ice G.o.d Sphere. In a few breaths time, none of them could lay a hand on her, but two of them were killed by her instead. Luo Chang Qing and the Grand Elder both witnessed this scene. They were dumbstruck. How could there be so many abnormal beings in this world? Furthermore, all of them appeared before them at the same time. The current scenario was just too frightening. Their Sect continuously suffered losses and casualties. Their Minor Saint elders were falling like flies. Furthermore, the dog was wrecking their buildings. Luckily, he was already surrounded by several Minor Saints, but none of them could kill him as he was too cunning. Luo Chang Qing and the Grand Elder had incisively seen through the scenario. Both the big yellow dog and that icy woman was impossible to get rid of, unless they hunted them down personally. Thus, they decided that Jiang Chen must be eliminated as soon as possible. Once Jiang Chen was killed, the rest of them wouldn’t be a threat anymore. Luo Chang Qing shouted along with the Grand Elder, lunging at Jiang Chen. Two strong Seventh Grade Minor Saints had unleashed their Qi, covering the sky. Their murderous intent was soaring up to the sky and their power sphere had wrapped around Jiang Chen. Jiang Chen unleashed his power sphere, the powerful Five Elemental Spheres. This made him the most abnormal being in this world. The dragon wings behind his back flapped. A wild wind was created from it. In the next moment, he appeared in front of the Grand Elder and clawed at him with his sharp dragon claws. The Grand Elder wasn’t slow in his response and immediately sent out one of his powerful combat techniques. A brilliant palm seal charged at Jiang Chen. In fact, he had no idea that if he confronted Jiang Chen directly, the next thing that would welcome him was his destruction and death. You're Read Dragon-Marked War God Chapter 789 online at NovelOnlineFull.com. You can use the follow function to bookmark your favorite novel ( Only for registered users ). If you find any errors ( can't read,broken links, can't load photos, etc.. ), Please let us know so we can fix it as soon as possible. And when you start a conversation or debate about a certain topic with other people, please do not offend them just because you don't like their opinions. You're reading Dragon-Marked War God. This manga has been translated by Updating. Author(s): Su Yue Xi. Already has 11221 views. Current Time is 19-Apr-2019 01:13:54 AM.